UPDATE: Still no official word on the DJI Phantom 5, but rumors are swirling that November 28th might be the release date. Read below for more details. There’s a lot of rumors and leaks surrounding the upcoming DJI Phantom 5, but is any of it true? 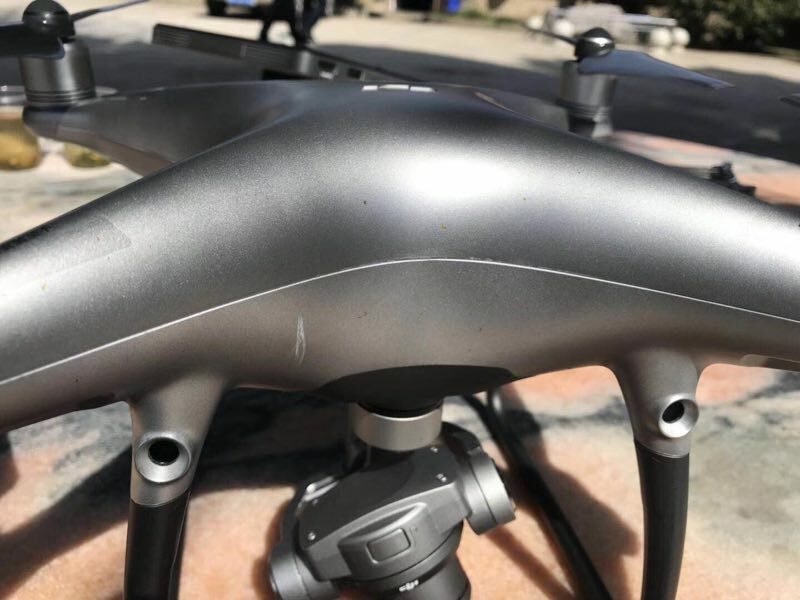 We scoured the internet to find all of the rumors, leaks, and allegations that are surrounding the drone that has everybody at the edge of their seats. In the meantime, at least we have the recently-released DJI Mavic Air, which we’ve named one of our best drones for sale. Learn more here! Initially, the rumored DJI Phantom 5 release date was April 15th, 2018. That day came and went with no news whatsoever, likely due to difficulties in production. Then, in September, the Mavic 2 was finally released. DJI said that this reveal would be “their biggest announcement of the year,” which would obviously indicate that they weren’t announcing the much-more-hotly-anticipated Phantom 5 this year. This image is one of the biggest reasons that many remain skeptical that the November 28th event has anything to do with the Phantom 5. A new Phantom would be a professional-grade camera drone that would be marketed towards a “prosumer” market of serious drone enthusiasts. The marketing would likely reflect that – something more along the line of the somber, visually-striking imagery used to tease the Mavic 2. Instead, this image is very cartoony and fun, and shows a variety of figures who seem to be more interested in playing instruments or doing other activities than flying drones. It seems like an odd way to go for a potential Phantom 5 marketing campaign – after all, the casual hobbyist is not going to drop more than $1,000 on a new drone. 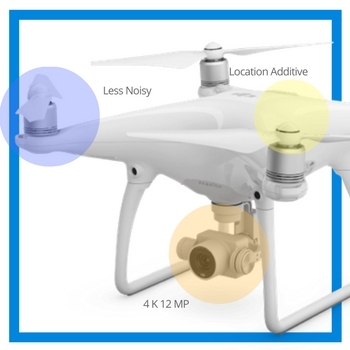 However, this theory may be supported by the fact that DJI did recently stop selling the Phantom 4 V2.0, and by the fact that they’re not promoting any of their bigger drones in the Black Friday sales event. It certainly seems like they’re gearing up to release the new Phantom soon…but that’s still no guarantee that November 28th will be the exact date. 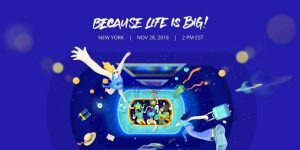 Either way, we’ll be watching the “Because Life Is Big!” event with great interest. The first rumored price that we could find was a listing in Indian Rupees, which totaled to 1,50,000 INR, or $2244.03 is USD. More recent estimates put the cost in the $1,100 USD to $1,500 USD range. Either way, this will likely be a more expensive drone to a wide array of promised high-end features. We found that people were wondering about the battery and what type it would be, so we looked into that, too. It’s rumored that it may be a 1.2 LiPo, but we’ve also seen rumors that have claimed the battery will be something never seen before. A breakthrough in LiPo, if you will. It’s also rumored that, while the Phantom 5 will have an overall charge life of over 30 minutes, which sets the bar for the longest flight time if it’s true, it will have a much longer charge time than the Phantom 4 did. It takes approximately 1 hour to charge the Phantom 4, so we can only imagine how long the 5 will take, especially if the battery is something that has never been seen before in a quad. We may even be getting a new type of charger, as well. 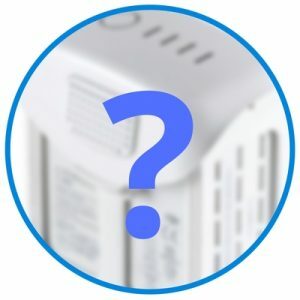 There isn’t a lot of information or rumors around this, but a lot of claims are being made about a new type of DJI charger that will be revealed with the Phantom 5. 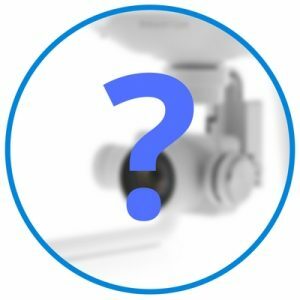 DJI is known for having spectacular cameras onboard, so we were curious to see if there were any rumors about the 5’s, and we found quite a bit of speculation and supposed leaks on it. Some people are saying that it will include a new type of gimbal that will trump any other on the market. More specifically, it will be a new type of 360-degree gimbal that will be able to take crystal clear photos and videos, even when it’s going at high speeds of up to 50mph. Although, not everyone agrees. 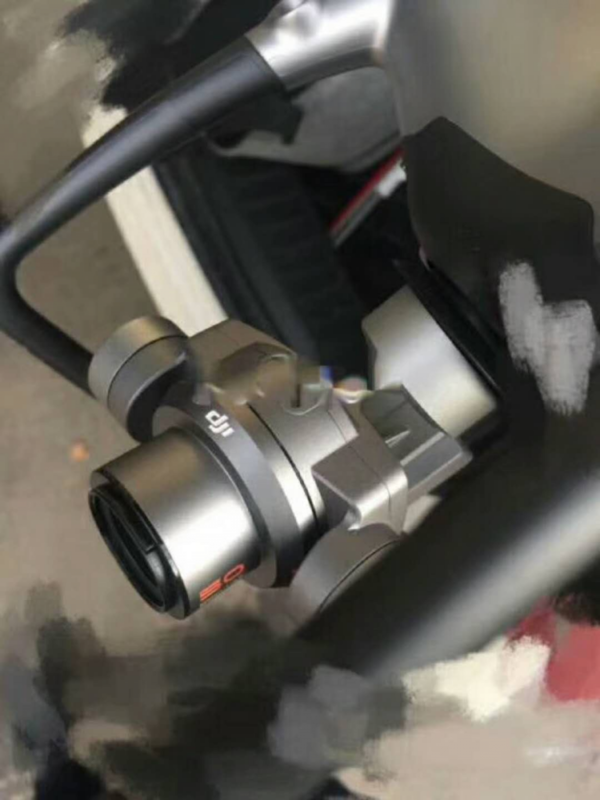 Some have speculated that the camera has not changed at all, saying that there is no need for improvement because the previous cameras are already at 4K, so why keep going? It looks very similar to the Phantom 4 Pro, but with a few distinctions. The main one is that the camera, which has a 50 mm lens, also has a lens release button, which indicates that users will be able to change the lens on the drone for different types of photography/videography. The gimbal has a release button as well. Like we said earlier, rumors from CES in February suggest that the Phantom 5 will have a flight time that is up to 30 minutes long on a single charge, but some are saying it can even go up to 33 minutes. Others are claiming that it could even be 40 minutes on a single charge, which makes sense if the rumors of a never before seen battery are actually true. Others are also saying that when the Phantom 5 is in Sports Mode you can get more than the average 30-minute claim, which doesn’t seem all that true considering Sports Mode usually drains the battery faster. However, these are all rumors, so there isn’t anything too solid yet. Where the transmitter is concerned, a lot of people have speculated that it will have improvements to the live HD stream, the same smart device capabilities and that it will be well improved from the Phantom 4’s transmitter. The transmitter range is supposedly improved, however, reaching a flight range of 8-10 KM, or about 5-6 miles away. The Flight Mode switch, the P button, will hold all of the settings, features, and will allow the 5 to reach up to a speed of approximately 22mph. The Sports Mode switch, the S button, will allow for higher speeds without draining the battery too quickly, The Altitude Mode switch, the A button, will have similar functions when compared to the 4’s transmitter, but it will also better maintain proper altitude and the overall function of manual controls. Here is where the most rumors circled the Phantom 5. We dug until we found each and every rumor on the features possible, and if at least half of them are true, this is going to be one seriously impressive, state of the art drone. For starters, the anti-collision feature is now the new 360 Obstacle Sensing System, which blows all other systems like it completely out of the water. It has obstacle sensors on all sides so a collision will not be likely to occur, with the artificial intelligence system being supposedly improved by leaps and bounds. We may even see anti-collision lights on the drone, as well. We may also have newer flight modes that are going to be paired with older ones, too. For example, Auto Takeoff and Auto Return, similar to Return to Home, may be coming into play here. We may also see GPS, which has supposedly improved drastically, reliant features, such as TapFly, ActiveTracking, and features that do not need GPS while in Sports Mode. In fact, Sports Mode is rumored to have replaced Flight Mode completely for the purpose of providing 10 additional minutes to flight time, but we can’t be too sure yet. We were also quite interested to find that a rumor circulating claimed that there will even be a FPV racing kit installed and that it will be more efficient and advanced when compared to any other drone on the market. It’s pretty obvious that the Phantom 5 is going to be a quadcopter, but what’s interesting is that rumors are claiming it currently looks somewhat like the 4, but that it will have a completely different exterior design and overall look when it’s released. Kind of confusing, we know, but we’re including it anyway. The possible dimensions could be something like 16”x8.6”x12.6”, with a weight of approximately 8.5lbs. It’s also rumored that the overall speed could get all the way up to 55mph, that glossy black and white are to be the color options, and that the motors will be in more of a raised position. It’s rumored to be able to ascent at 6 meters per 20 feet in the air, which is definitely pretty quick. There may be 2 readable IMU statuses, SD cards and Micro USB slots located in the center of the drone to the left of each chassis, braking at high speeds is going to be possible, and that the additional gimbals will allow a 360-degree turn.  The start-up noise will not be offensively loud and has actually improved to be much quieter. While these are only rumors, for the time being, it would definitely be cool if the majority of them proved to be true. All avid drone users are excited for what the DJI Phantom 5 may bring us, and while there are a lot of rumors and leaks that probably aren’t going to be true in the end, there’s no doubt that this is gonna be something special. Want to know more about what DJI might be working on in the future? Check out our article on the leaks for the Mavic Pro 2 here. Keep me apprsed of te Phantom 5 drone release. I would love to be a beta tester since I have done that type of thing before for Microsoft. I am now retired to am able to commit a lot of time to what I am interested in and Drones fit me. I was once a private pilot. High Blood Pressure quashed that, but I may yet try to get back in to pilot’s seat of a Cessna or Piper. Drone flying is an acquired skill which I am working on diligently. Thank you for reading this. At least consider me. 713-4465101 Text me that you are getting ready to call. I do not like answering unknown numbers these days. Too many telemarketer and scammers. I know you probably have more beta testers than you need but I would love to get in on the newest Phantoms. I am now retired and 66. If a 66 year old can master a Phantom 5, then any one should be able to. I do not mind paying a deposit or insurance premium. Also signing a non-disclosure contract does not bother me. You got to keep some things close the chest. Fred. You shouldn’t leave your personal info in these comments. 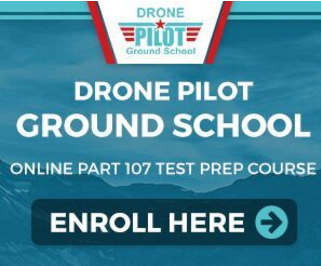 The people who run this website have no say on whether or not you can be a beta tester for DJI. Also people who could make you a beta tester probably never visit this site and look at comments such as these.. I am an end user of Phantom 4. I also evaluated similar sUAS in the market. Phantom 4 does many good things within its price range. But I really like to have one with camera zoom capability and affordable. Why is there such a big jump of price for zoom capability camera sUAS. Speed, weigh, and performance is only an options desirable and not that relevant in my agenda. Clarity zoom features will help me big time. I actually think Phantom 5 will be less likely in April. Since the release order went Phantom 4, Mavic, Phantom 4 pro, then next in line should be the MAVIC 2! I believe Mavic 2 will be released instead and around May 15th. April would make more sense, but I believe with the delay in some orders of the Mavic that they will push the 2nd edition back a bit. Thanks, let me know what you think about this! I have zero experience with DJI products, or many other drones was about to go all in on a Phantom 4 pro until I saw your article, but would be totally bummed if I spent $3k plus on the 4 pro plus on all of the extra gear I was going to purchase, and have a much better phantom 5 possibly next month! I am patiently trying to wait for the Phantom 5. I am all in on a DJI Phantom 4, or 5 series whether I can try to wait out for 5, or not!If you want someone is a total newb to test out the new crash sensor tech, or how easy to fly it is for an armature to fly. Then I am your guy! The P4P is a great drone, but it’s still getting the wrinkles out, DJI is almost done. This is normal for DJI, they release a new craft but spend the next 6 months working on firmware bugs. So don’t get too giddy about P5, as it will take another 6mos to get the bugs worked out. Remember I said that when you buy one. The P4P is almost there, prime to buy and enjoy IMO. Don’t get frustrated with a brand new craft, wait for it to mature and in the meantime fly the P4P. There are three things on my wishlist. IP-43 weather protection, 360 obstacle avoidance, swappable gimbal system. Also, I’d really like if DJI built agreements with companies like Sentera so third-party components like NIR sensors (used for precision agriculture) don’t void out DJI’s warranty. Doesn’t mean they’re included in the warranty (there’s other insurance covering payload), just that having them grafted to the Phantom platform isn’t an automatic refusal to provide equipment coverage via DJICare. I would be delighted to help debug the P5. I’ve had several years of in field testing of hardware and software under RC platforms. Lol at all these muppets thinking they could be a tester! I know, right! 🙂 Hey, everyone, this is a fan site. They have nooooooo links to DJI. its april 17th, where TF is the 5! @Steven: Here are only rumors, we all must be patience and wait for official information. I am new to DJI drones. But I have flown other (cheap) brands like the HUBSAN X4. I have flown in mountain areas in Romania. The limit for this drown is 200 meters, but since there is no interference at all, I have flown up to 400 meters. I would like the possibility to test the distance and abilities of DJI Phantom 5. I would assume it can easily fly 10 km, if not more, in such open settings. (with no interference). I have lots of videos from this mountain area, if you are interested I can provide a link for them on dropbox. I want to test the clarity of pictures, video, distance, RTH function, avoidance system (but not against trees/leaves – well not at least to the last part of the test.. 😉 ). Please contact me if you are interested in testing in beautiful mountain location. I use the P4 it works pretty well, I use it on the island of Oahu not so good to fly here too many airports and military zone (restrited area) , Aloha. I am considering a purchase of a Phantom 4 Pro since it looks like the 5 is nowhere on the horizon and I need about a month to practice before taking the drone on a schooner trip in East Greenland (mid August). Anyone think that is not the best idea? or not worth the extras the phantom 4 pro should discount after the phantom 5 comes out . With either option you decide you win; just wait for now unless you are doing a special trip soon. I would like to see a simpler s/u firnware procedure, before I make a purchase. I have flown regularly 2-3 times a week since I’ve had my Advanced and also do some local repairs for other Phantom fliers. These machines are simply amazing to me! After the fiasco with the NFZs in the US, Canada and most of Europe, compounded by the appalling reliability of the P4, and the latest firmware disaster, DJI are going down the drain. Why would anyone want to shell out even more money for more DJI junk until they fix the existing products. I have Phantom 4 and Hover Passport; one for outdoor and one indoor. On the phantom series, I am happy with the flight performance but feel the camera can improve. I do not need high mega pixel nor 4K and above. I like to zoom features even if it down grade the video to 480. At any height, we always have a focal point and wide aerial view. If these two can mix and choose and adjust would be great. 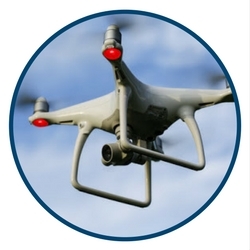 The speed, battery, and collision avoidance, ease of flight are already there. Improve or not is not important. I also has the indoor Hover, after close exemption, the compact lower cost drone by DJI is still mean for outdoor. If outdoor, other than easy transport and mobility, size and weight will bot be significant different than current Phantom. I feel confident to fly Hoover indoor because of slow speed and extremely light weight. I do not have confident with DJI products indoor because the speed brushless motor even with the propeller guide. One miscall , can be a catastrophic event. I wish Phantom 5 can come with zoom in feature. A 6 times zoom will help me! The killer feature I want is a 360 (spherical) video live stream to a VR headset. Specifically compatible with the Samsung Gear VR and google’s daydream. This would allow for an experience and level of control currently unheard of. Note: I am just getting into the drone game and I am admittedly ignorant of the current FPV offerings. However, my understanding was that it was only a static video feed and did not allow for the user to “look around”. That combined with a capable headset (or smartphone option) is what this could offer. Any news regarding release of Phantom 5, some pages say it will be announced on 15th of November this year, is that true? Do you guys have any news about Phantom 5 release? Thanks. Okay…I have never flown a drone but have been thinking about getting one sometime down the road. So if DJI wants a beginner to test their drone to see how it would preform, then I am their person. If I can fly it and avoid crashing it the first week or two then DJI can honestly say it is for beginners also and oh, how good this puppy can fly on it’s own. Think about that DJI, I am your person for beta testing the Phantom 5. Having owned a P2, 3 adv, 4 and Mavic Air I am edging back to the Phantom. The Air, althought being a great design has flaws in its controls and range. All the Phantoms were great and never gave the problems the Air has done which to me was a big pity as the size attracted me. If DJI were to release an Air sized drone with the stability of the phantom, it would wipe the floor with all other manufacturers. I am waiting for the 5 to be released and I am just a future drone buyer. I like the 4 Pro but the 5 will have the latest technology. I would like to be a beta user for the phantom 5. I am now flying the phantom 4 pro. And also had the phantom 4. I do a lot of work for Dronebase. As it is now May 12th, 2018, I think we can all be confident that the P5 won’t be released in April 2018 🙂 Let’s keep scouring the web and stay updated, shall we, chaps? Oh, and please stop posting that you’d like to be a tester and giving your address and phone number. You are telling the entire world your contact details and really showing your ignorance of basic security on the ‘net. Wise up! You’re not going to be a tester and you’ll have to pay your $$$ just like the rest of us. Any news about the release day for the Phantom 5? I RV business owner run his golf car over my drone yesterday, anybody knows a good lawyer familiar with the drone law to claim property damage. If so please replay to this Ad. Would be nice improvement if drone software prevented them from being flown in known restricted airspaces. Maybe pre-programmed GPS co-ords installed on all drones. I currently own a P4P 2.0 (at the DJI repair facility for 2nd time). It flew all right but extremely slow (much slower than my father’s P4P Obsidian and my brothers P3). I told one of the managers from DJI that I want either my P4P 2 repaired or a brand new unit and they sent me a refurb that flew poorly then wouldn’t sync with my monitor. I called them back up and said I either want a new P4P 2 or they can give me the credit on the store site for a P5. Waiting to here from them since sending back the refurb. One feature that’s been rumored is retractable landing gear. That would allow the P5 to fly faster and not be quite as affected by wind when shooting either videos or stills.